by Sayed Kashua. Grove Press: 2010. I didn’t expect to like this book. It’s probably because I’m a little ideologically close-minded on this topic – well, what I thought would be the topic of this book. I thought it would be a book about how unjust and terrible life is for Palestinian Arabs living in Israel, as seen through the eyes of the misunderstood and downtrodden protagonists. But the book was delightfully surprising in several ways. First, the plot, with the mystery of possible adultery and the absorbing drama of the lawyer, his wife, and a young Arab man taking care of a comatose Israeli man, is good on narrative points alone. Second, the prose is just the right blend of understated, descriptive, and psychologically perceptive. And finally, the whole Arab-Israeli conflict thing is presented in such an unexpectedly unique and complex way (to me) that all I could do, really, was admire Kashua’s ability to integrate so many elements into one relatively short novel. The story alternates between two narrators: a wealthy Arab lawyer (never named) and a young Arab man, Amir. They are, like most normal people, far more concerned with their personal lives (specifically, love lives) than with overarching political events. But because they live in Israel, where the personal is political and vice versa, elements of the unique political situation in Israel are inevitably part of it all. The lawyer and the young man seem to be initially set up as opposites: the lawyer is wealthy and established while the young man is barely scraping by and trying to figure out his profession in life, and Kashua sets them up as possible romantic rivals. Yet they have striking similarities. For example, each man’s name is ambiguous: “The lawyer” is always referred to as such, never by his real name, and the young jumps between his given Arab name and an Israeli identity that he steals. The men actually seem to be in similar positions in their relationship to other Israeli Arabs, as well. Both men desire to be good Israeli citizens, simply getting on with their lives and their jobs, and they both often express annoyance with more rebellious and/or contentious factions of Palestinian Arabs. And yet both men seem to experience similar discrimination – whether real or perceived on their part only- as Arabs in Jerusalem. For the lawyer, the car also reminds him that he has to present himself in ways that he feels his Jewish peers do not. In the parking lot of his kids’ school, he notices that “The Jews’ cars were modest, affordable, generally products of Japan or Korea. The Arabs’ cars were expensive and German, with massive engines…not that the parents of the Jewish kids earned less…but as opposed to the Arab parents, the Jewish parents were not in competition, none of them felt they had to prove their success to peers…” (13). What is unexpected is that it seems that the lawyer means he has to not only prove his success to other Israelis but also to other Palestinians – he opens his office on King George street in order to gain respect of his east Jerusalem patrons. Amir, too, seems to experience those places in which it would all just be a bit easier if he were Jewish, eventually leading him to take on the identity of the comatose Israeli man – Yonatan – for whom he works as a night nurse. Yet as Amir/Yonatan sits in the offices of the prestigious – and ideologically left-wing and liberal – art school Bezalel, waiting for an interview, another student jokes about one’s chances of getting in: “ ‘…But this is Bezalel. They’d kill to have an Arab in the program…’” (201). Adding to the complexity, though, Amir decides to take on the Israeli identity Yonatan because he feels it is easier for him to get basic jobs, such as working in a café, as an Israeli rather than an Arab. And he wants to be known as the Israeli Yonatan in Bezalel precisely because he doesn’t want to be admitted as the token Arab student rather than on the merits of his work. Kashua mocks the hypocrisy of the left-wing Bezaleler’s, who presume to be so open-minded, as they are seen through Amir masquerading as an Israel: “At Bezalel, I, a left-wing liberal like most of the students, learned that Arabs are horny, that they think with their dicks…I learned that they’re unpredictable and can be aggressive. Honor is desperately important tot hem…Arabs are more impulsive, more animalistic…it does not mean that we should be occupying them, that is not what it means, but it’s such a shame that they don’t change, that they can’t really be trusted.” (p 285). Amir’s feelings of cultural separateness at Bezalel are far from relieved when he goes home to “the Triangle” to visit his mother and adoptive grandmother. There he remembers his fellow Arab childhood tormentors who teased him mercilessly for being a village “outsider” and now somehow still have power over him: “I couldn’t figure out how it was that these overgrown kids could still intimidate me…you idiots, you assholes, if only you knew what I know…the peak achievements of your lives are to be in charge of a construction site or to make your Jewish clients happy…none of you will ever manage to escape from the trap in which you were born…and especially you, the men, who think you’re so tough and manly…you are the very essence of human trash. Keep on prancing with your guns, keep on puffing up your chests while you do the Debka dance at weddings, keep on marrying virgins and let them preserve your honor and your male delusions…” (274). These few examples surely demonstrate Kashua’s mastery in conveying complexity and the ability of a person to hold several viewpoints – some of them contradictory – at once. Far from being the “same old” left-wing novel about the plight of Palestinian Arabs, Kashua has a compelling read, regardless of politics. 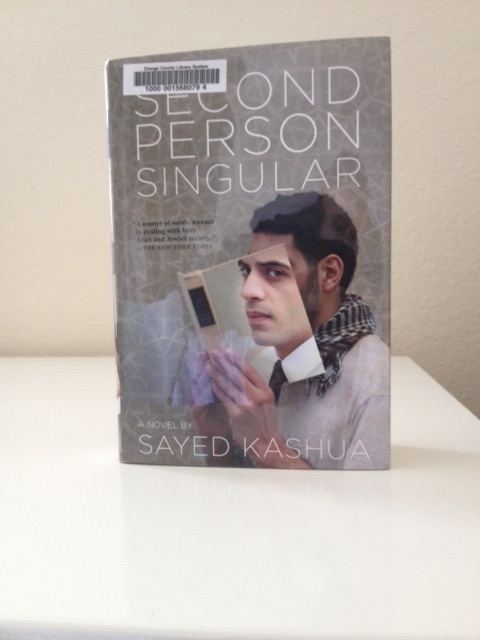 The political overtones here work more to draw in the reader, and get readers more and more invested in the lives of Amir and the lawyer as the novel progresses. And I would say that the book even hedges more toward the right-wing side of things, with Amir’s thoughts about Bezalel’s affirmative action, the lawyer’s annoyance at his dinner party lecture topics, and so on. What of the title itself? I want to mention that the one-word chapter titles are part of the prose, too, usually naming an item that is somehow significant in the upcoming chapter. While in the first section, the items are fairly ordinary – “bed,” “letter,” “discussion,” in parts two and three they seem to become more random and more intriguing: “jelly,” “rotary telephone,” “spoon, lemon wedge, lighter.” Their seeming randomness is delightful as one hunts in each chapter the mention of that item. With Amir’s disgust at his fellow villagers “prancing with your guns” and the lawyer’s wish to simply give his children the western education that was so hard for him to get – is is possible Kashua had these ideas in mind as he wrote this?